Berne/New Delhi - Amid concerns of bullion trade being used for routing of black money, Switzerland's gold exports to India have risen further and is fast approaching Rs one-trillion mark for the entire 2014. 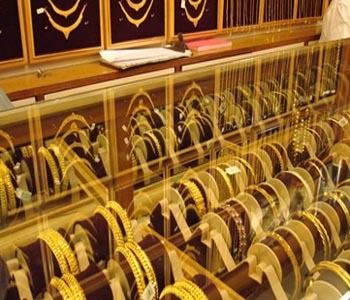 The Swiss gold exports to India stood at over 2.8 billion Swiss francs (over Rs 18,000 crore) in October, up from about 2.2 billion Swiss francs in the previous month, shows the latest data from the Swiss Customs Administration. This has taken the total Swiss gold exports to India since January this year to 14.2 billion Swiss francs (nearly Rs 93,000 crore), as per the data compiled by Switzerland's cross-border trade monitoring agency. Berne, Jan 3 : Three people were killed and two injured when a gunman opened fire in a village in Switzerland in a region known for its beautiful ski resorts, BBC reported Thursday. The incident occurred late Wednesday in Daillon village in Valais canton, best known for the Matterhorn mountain and ski resorts, 100km from Geneva. Police arrested a suspect who was shot and wounded after he threatened them. The gunman had reportedly been drinking heavily before the shooting. "Three victims died at the scene," said Valais police. "Two other people were wounded and hospitalised." Berne, Oct 4 : President Pratibha Devisingh Patil has said the United Nations Security Council (UNSC) must reflect on contemporary geopolitical realities in order to combat global security challenges better. Bern - Switzerland sent a letter of complaint to the Organisation for Economic Cooperation and Development, posted on a government Website Wednesday, saying the think-tank did not receive its permission to publish a grey list of so called tax havens. The OECD, which is supported a group of developed economies of which the Alpine nation is a member, placed Switzerland and several other countries on a grey list around the G20 meeting held in London at the beginning of this month. Bern - Swiss and US tax authorities began negotiations on Tuesday on opening and re-drawing the double taxation agreements, an official confirmed. The negotiations followed Switzerland's announcement last month, along with other countries with banking secrecy laws, that it would relax the strict rules and help fight tax fraud in line with the standards of the Organisation for Economic Cooperation and Development (OECD). 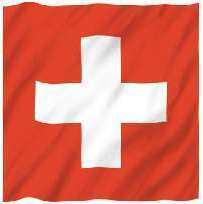 That OECD has placed Switzerland on a so-called grey list until it implements its pledges. Bern - Philipp Hildebrand will replace Jean-Pierre Roth at the helm of the Swiss National Bank starting at the beginning of next year, the Federal Council announced Wednesday. Roth announced in January his plans to retire as chairman of the governing board of the SNB, a post he has held since 2001. The council, the executive branch of government, also promoted Thomas Jordan from being a member of the board to replacing Hildebrand as vice chairman responsible for financial systems. Digital age, economic woes: can the post office survive? Bern, Switzerland - E-mail, internet bill paying and other electric substitutes had already been hitting the world's postal services hard when the global economic crisis struck, leading individuals and companies to cut back anywhere they could including in the mail. "Some of our largest mailers are in financial services, catalogue sales, manufacturers," said Lea Emerson, the head of the international division at the United States Postal Service (USPS). "Those are some of the ones hardest hit by crisis, and they are mailing much less." Bern, Switzerland - The global postal sector has been hit by the economic crisis but the downturn also has financial benefits, the Universal Postal Union said Thursday. The crisis was most advantageous for post offices that were able to offer financial services. "Some European operators, such as Swiss Post and Deutsche Post, are experiencing annual growth rates above 50 per cent in the number of postal deposits and savings accounts opened in 2008," the UPU said, noting that a similar phenomenon occurred during the Great Depression. Tripoli/Bern - Libya has shocked Swiss officials by announcing plans to reduce its economic ties to Switzerland, apparently in continued protest over the brief arrest in July of the son of Libyan leader Moamer Gadaffi. Measures announced Thursday night by the state-run JANA news agency include the withdrawal of 7 billion dollars of government funds from Swiss banks, the cessation of multiple economic cooperation projects between the two countries, and a cutoff of Libyan oil exports to Switzerland. Bern - His voice is creaking and gargling, his fingers strumming the guitar strings hard. The kick-drum leads a steady beat and a cymbal clangs from time to time. When Reverend Beat-Man from the Swiss capital Bern performs as a one-man-orchestra, it sounds one minute like enchanted swampland, another like the open range, and maybe occasionally like voodoo rituals and the curses of the possessed. Berne - Three detainees at the US Guantanamo Bay prison camp in Cuba have applied for political asylum in Switzerland, reports said Thursday. The men are from Libya, Algeria and China, the Swiss federal office for migration confirmed. The Chinese man is a member of China's Uighur Muslim minority. The spokesman for the migration office, Jonas Montani, told Deutsche Presse-Agentur dpa that the applications would be handled like any other.